Home/Child Care Centres, Surfacing Solutions/Different materials available like soft fall. 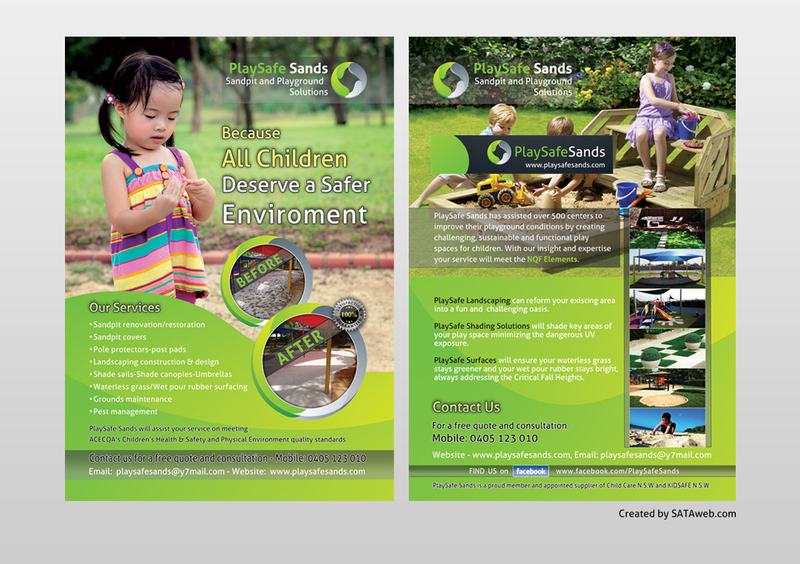 Surfacing Solutions by PlaySafe sands provides attractive Artificial and Waterless grass, well designed Wet pour rubber and Soft fall solutions for a playground. Safety is a major concern when it comes to the construction and designing of a playground for kids. All the playground equipment should be highly durable and installed as per the industry standard rules and regulations to avoid the chances of any kind of injuries during playtime. Besides playground equipment, the playground surface should not be an exception. When choosing the playground surface an soft fall material, the safety, quality and type of the surface is one of the major things that you should take into consideration. There are several surface materials available today, for the construction of a playground. However, not all the playground surfaces have the same features and quality. You need to choose a surface material like soft fall for example, that not only looks attractive and durable but also best for the particular game. The installation of the best quality and durable playground surface material can not only reduce the chances of injuries but also offers an enjoyable, fear-free and safe environment for playing. Also referred to as the impact layer. This type of surface is used under the finished surface in the form of rubbers and shock absorbing pads. These surface materials are highly flexible and very easy to maintain and thus reduces the chances of any kind of injuries. Besides lessening the chances of injuries, colourful soft fall also offers an attractive look to the playing space. This type of playground surface material is manufactured using the two-layered materials, which are produced using the best quality, durable and resilient rubber granules. This playground surface material is highly flexible and hence can be easily installed in the different regions of the playing space. Besides this, the wet pour rubber material has no sharp edge, good slip resistant ability superior quality waterproofing ability highly flexible and is available in a variety of colours, patterns and sizes. The artificial grass is subsequently used for safety surfacing in the playing space. This type of surface material is also known as waterless grass and is easily available in different weights and densities. Some of the benefits of installing artificial grass: it requires low maintenance, available in different density, weight, colours and sizes. Moreover, it also improves the look and appearance of the playing area. Installation of quality and durable playground surface material is very important to provide your children a fearless and safe playing environment. So, it is very important to buy quality and durable playground surfacing material.